TopBike Rental & Tours is always in search of new partners to work with. If you are interested in our links page and want to be added among our trustful partners, please send and email to: info@topbikerental.com. Riga bike tours and bike rental. Saturday Cycles: is a small bicycle shop in West Bountiful, Utah. We believe in cycling as a lifelong physical activity and as a practical means of transportation. 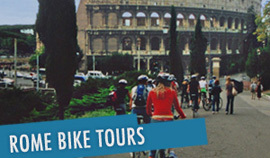 Our shop emphasis is on bicycles for commuters and touring. 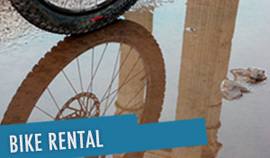 Bike Rental in Warsaw: www.WarsawByBike.pl is the main bike rental in capitol of Poland - Warsaw. Our renown was built on satisfied customers and years of experience in renting and also selling, servicing bikes because we are the part of www.WygodnyRower.pl. A Natural Bali Cycling Experience. Trust The Professionals Mountain Cycling and Rice Paddy Cyclin. 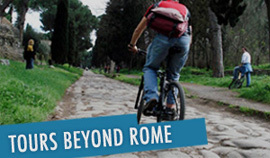 Nedarlendese site over rome met accommodaties, fietstours, evenementenkalender, wandelingen en interessante tips.